This past spring we lost two of the most prolific musicians whose legacies are very closely associated, tenor saxophonist Andrew Love and bassist Donald “Duck” Dunn. They spent the better part of the last 40 years as very much in demand, first call studio musicians for some of the most famous artists of all time. It is however the records these men made in their own hometown of Memphis, Tennessee in the 1960’s that are some of the most iconic, enduring and beloved recordings in music history. 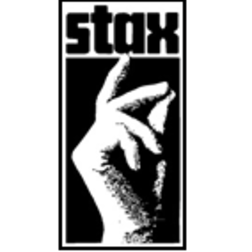 There isn’t a style or sound in music that I have loved as much when I first heard it as child that I do today as that of the 1960’s Stax Records, that featured both Love and Dunn. The same might have been true of blues music if I had heard that on the radio as a kid. Memphis and southern soul music in general had a bluesier, grittier and greasier sound than that of soul music that emanated from other parts of the country like Detroit and Philadelphia in that time period. Both of these recently departed musical giants spent hours together in the now famous Stax Records studio on McLemore Avenue in east Memphis. They backed up a series of soul singers including Wilson Picket, Eddie Floyd, Rufus Thomas, Mabel John, Otis Redding and Sam and Dave as well as scores of other artists. There is a timeless quality to this music that has held up remarkably well for almost 50 years. Ask yourself have you ever turned off the radio when you heard Wilson Pickett’s, In the Midnight Hour or Eddie Floyd’s Knock on Wood. It is impossible to imagine these two recordings for instance without the inclusion of Duck’s bass or the musicians who would come to be known as the Memphis Horns that included Andrew Love. The same thing can be said of numerous recordings from this period. Listen to the iconic bass line of Otis Redding’s Dock of the Bay. Listen to the horn intro of Redding’s Try a Little Tenderness. Sam and Dave songs such as Hold On I’m Coming, Soul Man and Wrap it Up are examples where the Stax house sound serves as pile driving, pelvic pounding odysseys into paradise. Southern soul music was my window into the blues and that passage runs right through Duck Dunn in particular. Do we know of any other musicians who recorded extensively with both Albert King and Freddie King for instance? Albert’s Stax sides had Duck all over them as he used the Stax house band almost exclusively in the 1960’s. Dunn went on to play on many of Freddie King’s Shelter recordings in the early 1970’s. When you consider that he was also the bass player on Muddy Waters’ album, Fathers and Sons, Dunn’s blues “street cred” is secure. Along with Dunn, Stax session players, drummer Al Jackson Jr., organist Booker T. Jones and Dunn’s high school friend, guitarist Steve Cropper, became the instrumental group, Booker T. and the M.G.’s. I attribute my affinity for instrumental music in general to my love of this band. One of the things that occurred to me as I reflected on the passing of Duck Dunn was that he may be the first prominent bass player to have never played a stand up, acoustic bass. Up until that point, bass players learned to play on acoustic instruments before switching to their relatively new solid body electric counterparts. The first bass Dunn ever purchased was a 1958 Fender Pesision bass. He still had that bass at the time of his passing. Donald “Duck” Dunn’s style incorporated a “heavy” right hand that really dug into the strings. This combined with the sound of his Fender Precision Bass with flat wound strings gave his playing a thick tone. His use of “ghost” or “passing” notes often gave his recordings a fuller sound and made for some serious grooves. The self taught musician would listen to recordings as a kid while playing his bass. Dunn would place the notes where he thought they should go. Steve Cropper has often pointed out that is why no one sounds anything like Duck Dunn. For me it sounds like the way bass is supposed to sound. My younger brother, who is an accomplished bassist, has been profoundly influenced by Dunn’s playing. He consciously, and I am sure to some extent sub-consciously, incorporates many of Dunn’s concepts and techniques into his own playing. Our younger brother, who passed away many years ago, also was a professional musician and an accomplished bass player. I know for a fact that many of the first 45’s these youngsters ever heard had Dunn’s thick bass lines running through the recordings, because those were the records I bought. 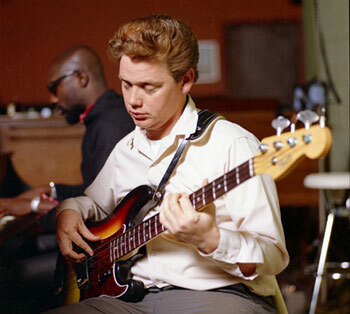 The Fender Precision Bass that is part of the BLUES JUNCTION logo is a tribute to my brothers and Donald “Duck” Dunn. Andrew Love is the most listened to saxophone player in recorded music history. He was born on November 21, 1941, just three days before the birth of Donald Dunn. He along with trumpeter Wayne Jackson became known as the Memphis Horns. He passed away on April 12, 2012. Dunn passed on May 13th. The passing of these musical giants marks the end of an era. Andrew Love was diagnosed with Alzheimer’s disease in 2002 and stopped performing a few months later. 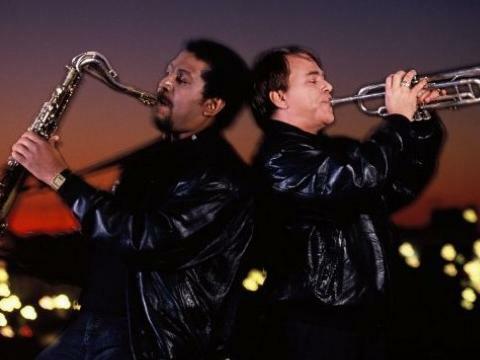 Like most people, I didn’t learn of Love’s illness until this past February when his long time friend and musical partner Jackson announced it as part of the press ramp up to the Memphis Horns’ Lifetime Achievement Award at this year’s Grammys. The two musicians performed together on 83 gold or platinum albums, 30 Grammy winning songs and 52 top ten hits. It is estimated that they performed with 50 members of the Rock & Roll Hall of Fame. Those are just numbers and don’t even begin to tell the story of the impact of their sound. 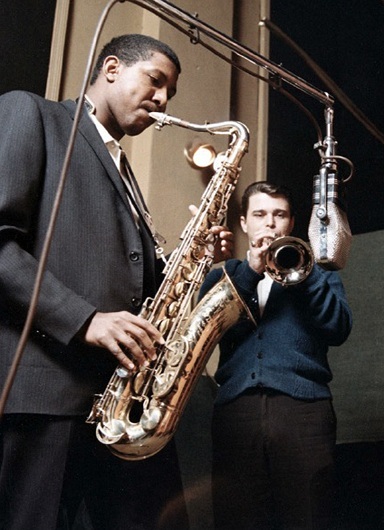 It is virtually impossible to imagine a recording that didn’t sound better without the inclusion of the Memphis Horns. Both Love and Dunn’s discographies are available on their websites (visit our links page). These discographies are simply mind boggling as to the sheer amount of recorded history they left behind. The diversity of these recordings is startling as well. I don’t care who you are or what kind of music you enjoy. 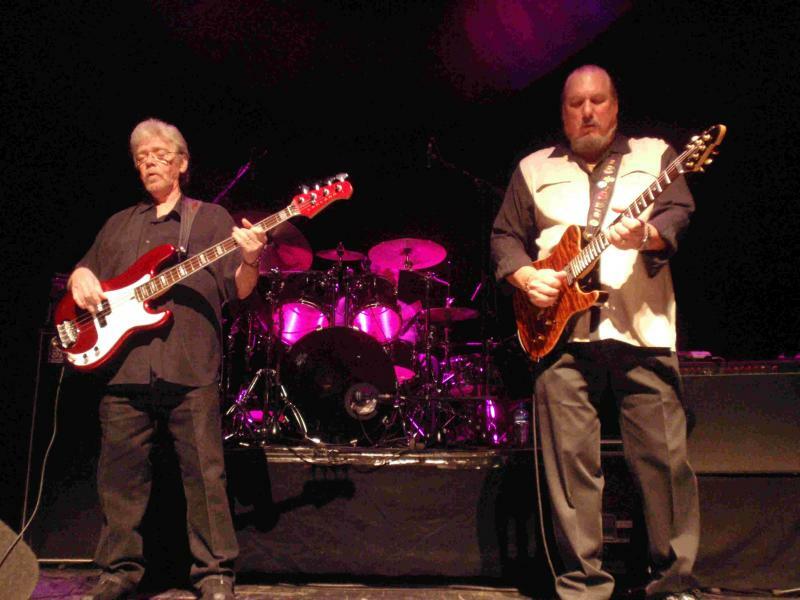 You have heard Andrew Love and Donald “Duck” Dunn whether you realize it or not. It was however the music they made as young men right in their own home town of Memphis in the 1960’s that like many of you, I will love until the day I die.